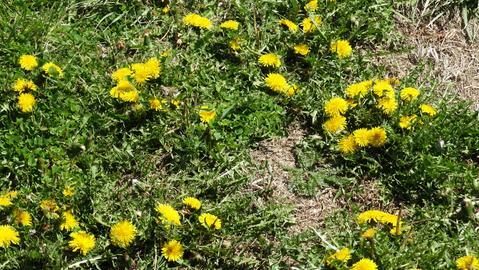 When the dandelions begin popping out I know spring is really here and all the plants will be popping soon. Why do I love dandelions? Dandelions are tenacious, persistent, resilient and radiant. Think about it, every year you try to get rid of the dandelion plants in your yard and unless you spray poisonous chemicals on them, they are back! 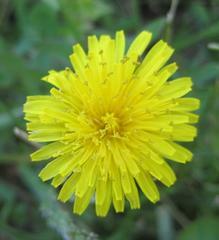 Even, many of the chemicals people spray don’t stop the amazing dandelion from reappearing. Dandelions are tough cookies. Have you ever tried to pull a dandelion and inevitably the end of the root breaks off. Her roots extend way into the ground. Dandelions are so helpful for people who are very intense, for people who are hard-working, over-stressed and tend to be irritable; people who do really well with dandelion cram too much into one day, they are impulsive “doers”, they overdue everything and tend to forget about their bodies. They need to let go, just like the puff ball of seeds that the dandelion spreads out. Think about the child as they pick a puff of dandelion seeds and blow them away. Next year that dandelion has many children. As you look at a field of yellow dandelion flowers, you can feel the energy she has. Dandelion remedies work directly to relax and cleanse the liver which is where over-driven people tend to store their anger and frustration. Dandelion helps relieve tension and allows you to slow down slightly and take the time to listen to your own body. Dandelion is not only an abundant plant – it is a very affordable one. This time of year (especially in the northeast) just look outside and she will make you smile. Don’t get me wrong, you can purchase dandelion remedies from me and many herbal apothecaries, but really, this year you can make your own, inexpensive, amazingly powerful herbal medicine. Dandelion Flower - The beautiful dandelion flower is helpful for clearing winter gunk from your liver and help you have a gentle cleanse. The flower is very pain relieving, especially when you make an infused oil with it. The infused oil has a special affinity for cystic breasts and allows you to free up old emotions. Just massage some oil on your breasts each evening. I love making dandelion flower vinegar. It’s tasty, is a great liver cleanser helping get rid of old anger you may be holding. The vinegar is great for using in your bone broth, a salad dressing, or just putting a little over your cooked greens to allow you to take more of the calcium into your body. 4. Cover your jar with a plastic cap, if possible or put a layer of saran wrap at the top so the metal top doesn’t mess with the vinegar. 5. Leave in a cabinet for 6 weeks - make sure you label your jar. Strain when its done and enjoy it. Pick your dandelions and put them on a tray in your house for 12 hours to wilt. If you put the fresh dandelion flowers in your jar with oil, they will turn rancid as they are too moist. 5. 6 weeks later, strain and you have a beautiful oil. 6. If you want to make a salve out of it, just warm it up in a double boiler, add 1 oz of beeswax to 4 oz of oil , pour it into a jar and you’ll have a beautiful salve. 3 .Turn on the pot so the oil in the double boiler get warm , DO NOT let them come to a boil. I find that it takes about 10 minutes to warm up, I stay and keep testing it. Once it is warm, turn it off. Then for the next few days every time you go into your kitchen turn it on, warm it up and turn it off. After a few days, strain your oil and you are good to go. Very interesting, I think I will try making the dandelion flower vinegar. As someone who needs to relax more – who knew dandelions could help. Quite interesting idea about dandelions. I never thought they had any good qualities, just that were such a pesky plant and needed to be gotten rid of. Thanks for sharing this and making me see the good side of the dandelion.